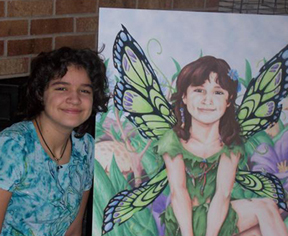 This was a truly fun portrait of a 12-year-old girl as a "flora" green faerie. Though ordered as an 11x14, the client also had a poster-size print made of the digital file sent, which apparently came out beautifully! Check out the picture of her with her poster/portrait below! 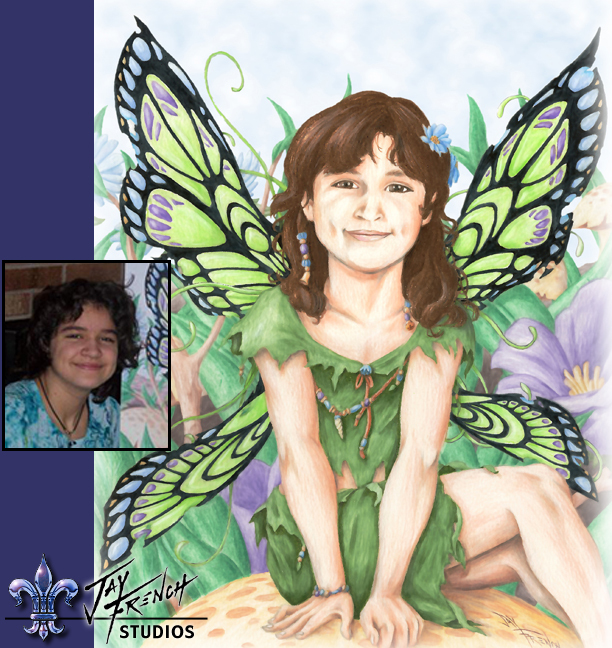 Click the image to view merchandise with the "Green Faerie"